The patented QUICK LOADING BOX remarkably speeds up the loading and unloading processes and makes it possible to stow luggage in a compact unit which is easier to handle than before. 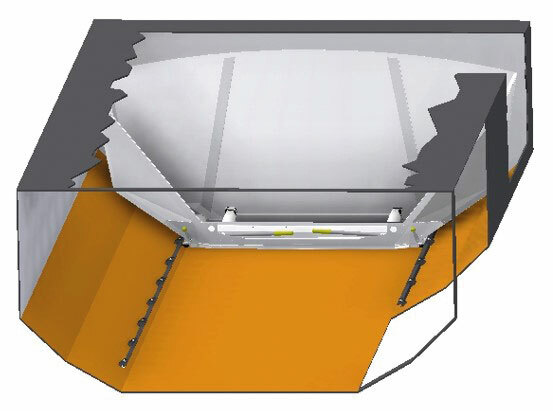 The box is ideal for the A320 series and can be filled directly at the terminal. The luggage is protected by the closed plastic sheeting and is only handled directly 1x at the departure and arrival airport. It has the same width as the luggage carousel so the aircraft can be loaded and unloaded with the help of the standard equipment. 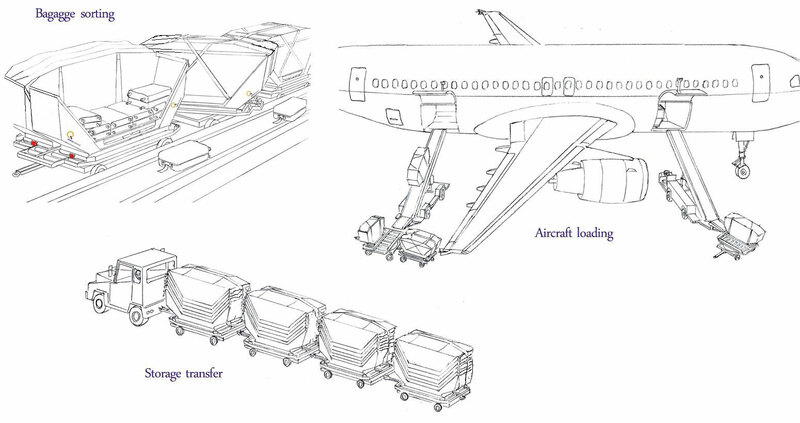 On the aircraft, the box is simply moved with the integrated and maintenance-free roller system and fixed in the cargo department by flipping two levers. Combination of QUICK LOADING BOX and loose luggage/cargo possible!